Ugh, Monday morning! A system outage at JetBlue Airways briefly grounded its flights early Monday. The exact extent of the outage wasn't immediately clear, but JetBlue confirmed a system outage in tweets to customers and apologized for the problems. 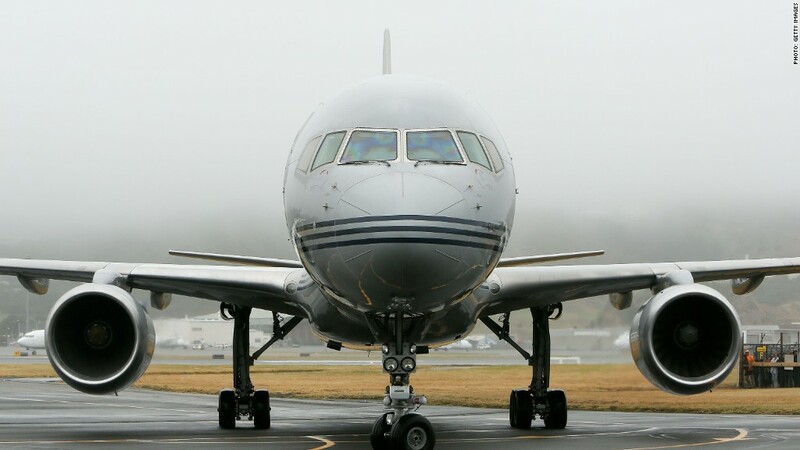 "We're working with our partners to get everything up and running as quickly as possible," the airline tweeted shortly after 6 a.m. ET. About 40 minutes later it followed that by saying, "Our system is coming back up now. We should have you on your way shortly." 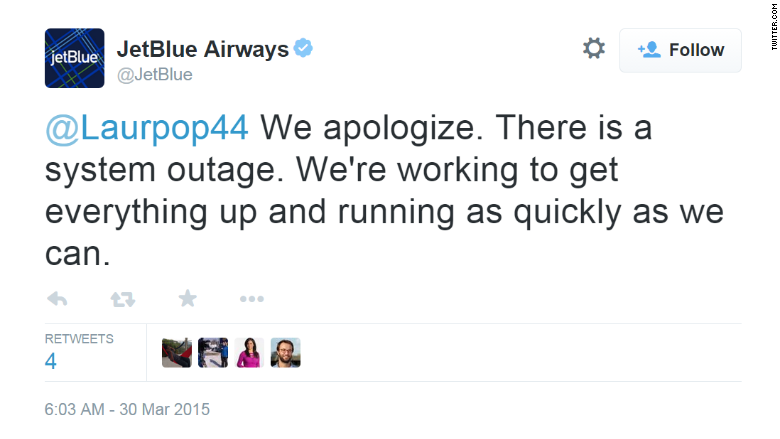 But in the meantime Twitter lit up with tweets from JetBlue (JBLU) customers sharing their travel problems. "System wide outage causing major problems. No one has to work today, right?" tweeted one customer, who included a photo of long lines at the West Palm Beach, Fla. airport. JetBlue said the issue was resolved at about 6:15 a.m. ET. "We are working to resume normal operations now," said spokesman Doug McGraw. "Customers may experience some delays throughout the day. We apologize for any inconvenience."